EOH house committee resigns en masse. 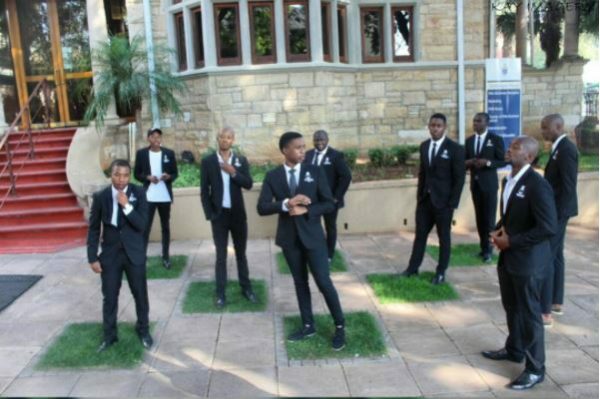 ALL NINE members of the Ernest Oppenheimer Hall (EOH) House Committee resigned last week after the two entertainment officers were voted out of office. The residents successfully tabled a motion of no confidence in the entertainment office, in a house meeting held on September 11, which resulted in their dismissal. After the vote, Tafadzwa Kufazvinei resigned as chairperson and the rest of the house committee followed suit. He said that the failings of the entertainment office were due to the decisions made by the entire house committee, and he was taking responsibility as the chairperson because he had sanctioned each and every decision. “It is for this reason outlined above that I immediately resign following the vote of no confidence. As the leader of this team, I believe that a vote of no confidence in any member of the House Committee is a reflection on me. On introspection, a failure to inspire action or adequately monitor the different portfolios may have led to our demise. For that I sincerely apologise to the House and the House Committee,” wrote Kufazvinei. In their resignation letter, the remaining house committee members wrote that it was not morally justifiable for them to continue holding office as they wanted to take collective responsibility..
Kufazvinei refused to talk about the reasons for the house committee’s resignation, saying it was a house matter and they were not discussing it with anyone, least of all Wits Vuvuzela. EOH Warden Nazime Randera told Wits Vuvuzela that the entertainment officers were facing allegations of insufficiently consulting on the ideas of a “certain party”, and the ideas of the sub-committee were not incorporated into the plan. The accusations also included the failure of the office to advertise house events extensively. “They [residents] wanted to host open session, a movie night and indoor sports, and they feel again it wasn’t advertised extensively enough to all the residences in the community itself,” he said. Randera added that the residents complained that the house committee promised to do a number of things when they campaigned for office, and did not fulfil the mandate once they had been voted into office. On September 16, an interim committee comprising four students was placed to fulfill administrative duties, and to oversee the events of the house for the next month. “[The duty of an interim committee is] to bring to our attention any concerns students have within the residence itself. There is still a social awards evening that they can still control on behalf of the house,” said Randera. The residence warden said that there is no time to elect new house committee. “We are almost at the end of the year itself, so technically if we had to run another election it will take two weeks to run the elections, by which time they take office it will be the end of the year almost,” he said. Voting for the 2017/2018 EOH House Committee is scheduled for September 29. RELATED ARTICLES: EOH celebrates 50th anniversary, April, 2017.